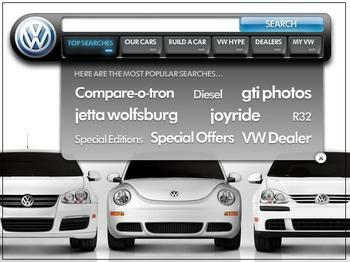 Where Do You Want to Drive (On Our Brand Search Engine) Today? See if you can find the search engine in less than 10 seconds? Review the actual results and ask yourself "is this what I was really looking for"
"If you want a better, more inviting billboard when consumers search your brand, think hard about your own welcome mat. Remember, you are what they search." In this "first to know, first to tell" blogging world, it's hard to resist the temptation to drop commentary the second news or a key development breaks. On one hand bloggers often maximize their so-called "social-currency" by being the first to comment, but on the other hand many of us are also anchored (at least rhetorically) to a "listen first, then enter the conversation" philosophy. So what's the right time to credibly enter the conversation? In the context of Dell computer launching a new corporate blog, I asked myself that question all last week. I now have a few observations, and a ton of questions, but first some backdrop. "You are encouraged to speak in an honest, informal voice and to foster productive, candid dialogue that can help us learn from each other. We’ll listen, as well as post, and ensure we engage in two-way conversations. Our intent is to provide a timely and accessible alternative to more formal, one-way channels of communication. Reactions: Blogger reaction, not surprisingly, was swift, and most, it seemed, initially were on the prowl for holes, gaps, discontinuities, inconsistencies, or that "achilles heel" issue the brand didn't think about (you know, the stuff bloggers typically do). Steve Rubel and Jeff Jarvis offered early (somewhat) critical reactions that generally set the tempo for much of the debate in the blogophere, as well as the first few days of media coverage (reporters so far have taken most of their cues from early blogger reaction). Jarvis's early comments also precipitated an unexpected controvery (which warrants it's own blog post). My own assessment is that Dell so far has done about as good a job as you can expect considering the legal considerations and corporate constraints that surround blog or "conversational" initiatives. The sincerity behind the initiative seems genuine, and the fact it's being presented against a backdrop of Dell claiming to spend upwards of $100 million to improve customer service fortifies the authenticity. Importantly, at a time when prominent bloggers are opting to remove comments from the blogs, the Dell blog has managed to secure more external comments on it's blog in one week than just about any other corporate blog I've studied, including GM's Fastlane. So by that standard, they clearly succeded in "entering the conversation." Speakers & Seekers: Moreover, if you pay careful attention to organic search-results, Dell also appears to be shifting the debate. 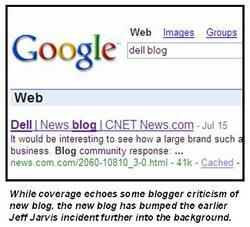 If you type in "Dell Blog" in Google, you'll note that the shelf-positioning has taken a meaningful shift from the early "Jarvis Dell Hell" content to coverage over the new One2One blog. The biggest challenge facing Dell to date -- and one with enormous ROI implications -- is that the negative experience of one particular "speaker" (Jarvis) so dominated shelf-positioning that it interfered (Jarvis would probably prefer the world "enlightened") with buyers "seeking" information about Dell. Dell is among the most "searched" brands on the internet, and when the conversational currency that appears on the shelf is negative, it acts like a targeted "media" impression. This is a big reason why I'm so adamant about use of the term consumer-generated "media" versus the world "content." The digital trail we leave acts like "media," and this is why nurturing feedback loops and meaningful conversation is so fundamentally strategic to brand building. No Magic Wands for Customer Service? The part of the blog that most engaged me was a post entitled "No Magic Wands for Customer Service?" I appreciated the candor and honestly of the post, as did other bloggers, and it triggered perhaps the most important conversation on the blog, one I hope Dell keeps nurturing (for the sake of the entire marketing community). Here's are excerpts from my own comment to this post, which gets to the heart of why these issues are so difficult for companies to address. 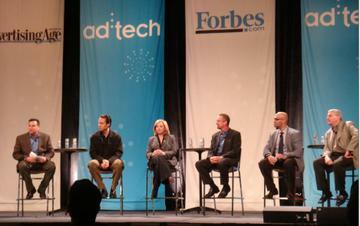 "Re-engineering customer service is one of the most difficult challenges for large brands... Despite the consumer-generated "media impressions" that emanate from customer service operations, the reality is that customer service/consumer affairs rarely commands the attention and respect (or resources) of marketing or media planning. I say this with the frame of reference of having attended and presented to over a dozen conferences of the Society of Consumer Affairs Professionals, and it's very clear that these departments are rewarded for two core behaviors: reducing contacts, and reducing time-spent per contact. Even the PR industry, which is so focused on blog creation and conversations, is largely divorced from core strategies and business processes around customer service, call-support, contact-us." 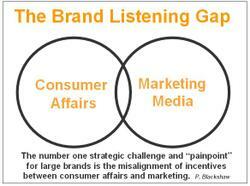 The Brand "Listening" Gap: This is a theme I've discussed extensively in previous articles, and it's one that really became obvious to me as far back as 1999 when I founded PlanetFeedback.com, a site that has processed over a million letters and comments about customer service. Marketing and consumer affairs typically work at cross-purposes. What's so curious (at times glaringly inconsistent) about corporate blogs these days is that their approach to "feedback" and "conversation" often run in a different direction than the bread and butter listening operations of the company, and only in rare cases (Dell appears to be an exception) is the consumer affairs department even involved...much less given a "courtesy" heads-up. While Dell has dramatically improved the availability and customization of 800-numbers on its site, it's not entirely intuitive or easy to figure out how to send a basic e-mail to the company. In the case Dell, GM, and so many other companies that have created ambitious corporate blogs, it's generally easier to deliver online feedback via the corporate blog than through the traditional pipe. Key question: in the pursuit to stay credible with consumers, how do listening strategies stay consistent across all touch points? This is an issue Laurent Flores, who frequently comments on this blog, keeps tackling head on. Defining the Word "Conversation." Part of our challenge is that we all have different definitions of "conversation." Is conversation a dialogue? Is it something that only takes place "externally?" Is it "problem resolution?" Should we only think about "conversation" it in the context of a blog, or other "Web 2.0" marketing vehicles? Or maybe we should ask the harder question of whether enabling public "conversation" from the get-go is a good idea in the first place (or in corporate shareholder's interest), a point Amanda Chapel has been hitting hard in her blog Strumpette. Dell's challenge is greater than other brands not only because the "conversation" has opened up difficult issues to the public airwaves but because it built it's business on the power of product-centered "design it yourself" feedback loops, which implies, from the get-go, a more intimate relationship. The brand also pioneered "direct" online selling on the internet, going as far back as the late 1990s (a development I watched closely while at P&G, as our agency of record, Grey Interactive, also owned Dell's first foray into direct online selling). All of this set a different set of expectations -- and a higher bar -- relative to other computer brands. In our blog strategy, who are we really talking to? Real customers? Former customers (e.g. Jarvis?) Influencers? Bloggers who may or may not use our products? Brand stakeholders? All of the above? What’s more important: customer reaction or influencer reaction? Do we really want an “open” conversation? What are the liabilities? Do we even have a choice? What do we really mean by "conversation?" Blog comments? Problem resolution? Do the participants expect a true dialogue? How consistent should this be with other "feedback loops"
Do we treat certain bloggers differently? What are the consequences in a "transparent" environment when everyone has equal access to a brand's "recovery" strategy? How well does our blog strategy match up with how we manage consumer affairs or consumer relations? Any disconnects? Are we "conversationally" exposed? How is the conversation impacting my search results? Do the results appear authentic or manipulated? Are they pushing out less desirable conversations? How do we manage the patience of internal stakeholders and managers who may be eager to pounce on the first embarrassing stumble or negative criticism? Disclosure: My firm works with a large share of Fortune 500 companies on blog and CGM strategies, and in the past this has included some work for Dell. That said, have no tie to the Dell coporate blog. Who's more at risk – little Johnny on MySpace or the child known as our brand. 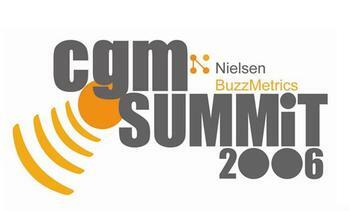 This is the question I probe in tomorrow's ClickZ article entitled "Parenting Your Brand." As with our kids, our brands face comparable risks of exposure, ruined reputations, eroded equity, and compromised positioning via the Web. Most of us are too busy watching TV to fully appreciate this reality.